Developed as a one-design for a professional racing circuit that came to fruition for a very short period in the late 1980's. Beam: retractable to 8'. 14' with wings. 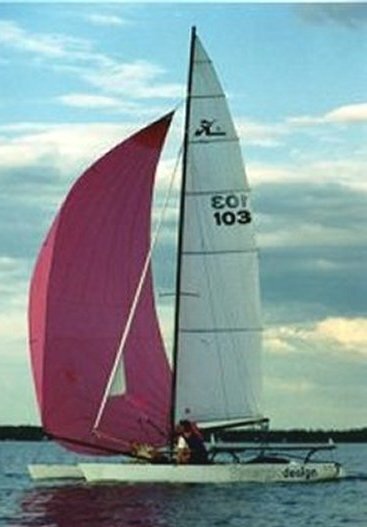 For a time, with built in storage, and a cooler, it was reissued as the HOBIE 21 SPORT CRUISER.